Walking in Tuscany is a constant delight. In the perfectly preserved towns and villages, you find people living much as their ancestors did in the past, complete with festivals and colourful pageants. The countryside is timeless: ancient stone terraces of olive and vines, chestnut trees intermingled with walled medieval villages, castles, forests, and wonderful vineyards. This itinerary highlights the remarkable walled medieval town of San Gimignano. Famous for its towers, frescoes, churches and palazzos it is a delight to explore! Then on to Colle Val d'Else with it’s perfectly preserved "tunnel" streets and Monteriggioni, a medieval village with 84 inhabitants and 13thC retaining walls. Travel to Siena, which is considered to be one of Europe's best-preserved cities. It’s a true treasure of Tuscany with its piazzas, palaces, and museums. Savour the pleasure of hiking through the vineyards of Tuscany and Chianti. 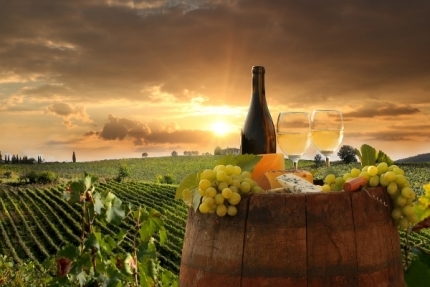 Taste the fine wine and sample the excellent Italian cuisine of this region. Uncover the beauty and charm of Tuscany!